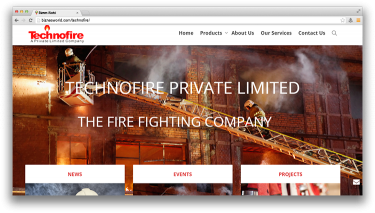 Description Technofire established in the year 1999, a company based in Pakistan and member of distinguished NAFFCO Group Of Companies, providing Fire Protection and Detection Systems’ Installation and Maintenance for Commercial, Residential and Industrial Buildings, Warehouses, Camps & High Class Offices. Included in this profile are details of Company’s wide range of experience of Installation and Maintenance Programs, expertise of staff members and the services provided by the company. Address 2Km, Main Boulevard, Mian Center, Near Bank of Punjab, Raiwand Rd, Lahore.